Ryan Reynolds seems like one of those rare Hollywood types who might actually be as nice as his publicist wants you to believe. He’s very cute with his wife Blake Lively, he does nice things for his fans, and he even—wonder of wonders—seems to like the movies that he makes. (Uh, most of them.) 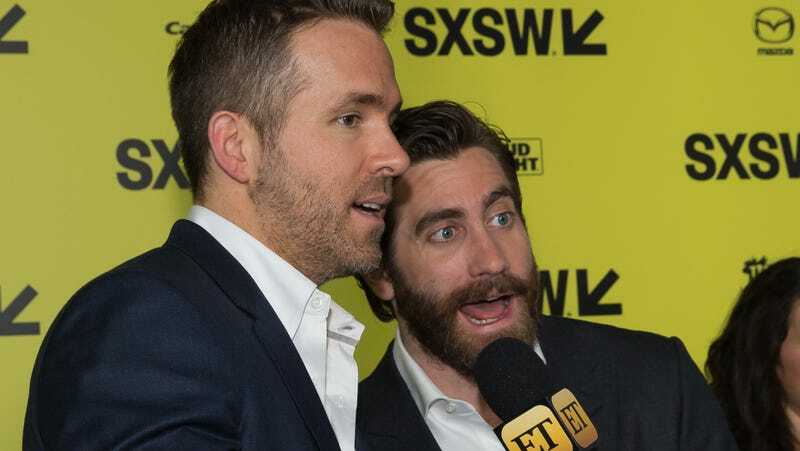 And now he’s even got a Certified Good Dude testimonial from his friend, fellow famous person Jake Gyllenhaal, who sent Variety a very sweet essay about what a nice friend Reynolds apparently is. It’s kind of like those videos were a goat and a rabbit are best friends, except in this case it’s two different flavors of Hollywood star. Ryan built the house of Deadpool brick by brick, constructing a space that inspired him and let him stretch to every corner of the room. The remarkable success of Deadpool may have shocked the suits who took a chance on financing that ragtag superhero movie, but for the people who know and love Ryan, it was no surprise that the whole damn world rallied as soon as it had the chance to really see him: all of the edges and darkness, the crackerjack wit borne from a lifetime of sensitivity and sadness, and against all odds, the openness…So often — too often — the wildly talented people of our world funnel the lion’s share of their energy into their work, but as good a writer and comedian as Ryan is, he is a better friend and father and husband. And that, for me, is the true mark of power. Really sweet stuff! Anyway, there’s your dose of celebrity heart-warmingness for the day; we now return you to our regularly scheduled “Everything and everyone is awful” news.